They do this every year? | Awesomeness For Awesome's Sake. They do this every year? I also think this during The World Series and The Basketball Playoff thing-a-ma-jigger. Christ, those guys had talent! Just because I don’t care for sports doesn’t mean I don’t have friends that do. The Wife and I were even invited to a Super Bowl party this year…what we would do there is beyond me, so we politely declined. Truthfully, we’ll be busy painting the walls of our deck today…you should see it, three equal horizontal chunks of clam chowder, warm muffin, and spice berry…these colors are going to offset the subtle natural cedar stain of the deck beautifully…trust me. Anyway, back to The Super Bowl…The Wife and I have been known to tune in for the half time show. It’s usually some big train wreck of a production, but as purveyors of badness, it is our duty to witness the horror. “…gonna have you naked by the end of this song,” indeed. 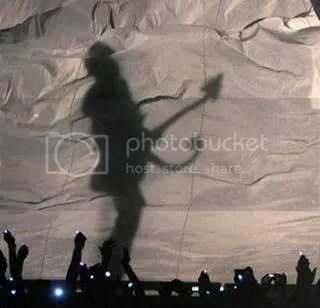 In case anyone forgot, Prince is one hell of a guitar player. But this year we get…..Tom Petty?! Are we partying, or are we just hanging out? So, even though we won’t be watching the big game this year, or Tivoing the high-larious commercials, we will suffer through another half time fiasco and we promise to keep it real and root for America’s favorite team, The Dallas Cowboys! 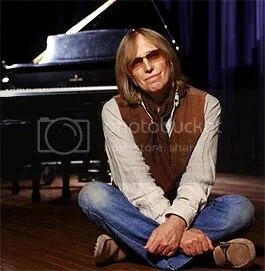 Tom Petty IS old now. I was surprised to see that. I thought celebrities got to stay the same, because they keep slowly replacing all their natural body parts with synthetic ones. But maybe Tom’s been too busy hanging out, smoking dope and strumming on guitars, to make it to his plastic surgeon’s office. Tom Petty was actually pretty damn good during the halftime show. He can still pitch Free Fallin’ in the same tone of voice in 1989. As for sports, you say you grew up in a household that disregarded sports, and motivated the written word. Well, damn, I grew up in a household that was hybrid reading/sports. Don’t know how that happened, but my father emphasized playing AND watching sports, and, along with my mother, influenced me to read. Take reading away from me, I’m an idiot (pretty much). Take sports away from me, I’m a bigger idiot. Sports, to me, is the easiest way to open a conversation with someone. If that person I’m conversing with can’t talk sports due to discontent of the hobby, then it’s impossible for me to keep the flow of a conversation steady. Uh…Troy…I don’t like sports. Um…………..er……….okay then….talk to you later.